A new “customs partnership” with the EU – which is fiercely opposed by some Tory Brexiteers – is still on the table, the business secretary says. Greg Clark warned about the effect of border checks on manufacturing jobs, saying whatever replaces the customs union was of “huge importance”. He added whichever option was chosen would “take some time” to put in place. Eurosceptic backbencher Jacob Rees-Mogg criticised “Project Fear” warnings about job losses after Brexit. He said if the partnership model was adopted, “we would not in effect be leaving the European Union”. But Mr Clark was supported by former home secretary Amber Rudd, while Remain-supporting Tories criticised pro-Brexit “ideologues”, saying they did not represent the party at large. The UK government has said it is leaving the EU customs union so that it can strike its own trade deals around the world, something it cannot do as a member. But ministers have not yet agreed how to replace it. 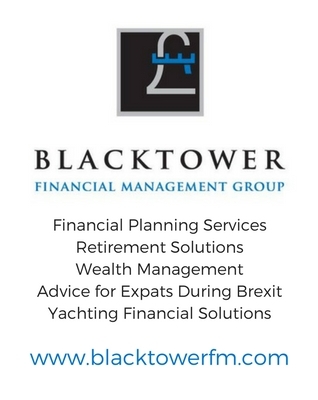 Speaking on the BBC’s Andrew Marr Show, Mr Clark said the UK would leave the customs union in 2019 with Brexit, and that finding the right replacement was of “huge importance”, pointing to the needs of manufacturers like Toyota to avoid friction at the borders. At last week’s Brexit sub-committee meeting of senior ministers, several are believed to have voiced concerns about one of the two options put forward by the government – whereby Britain would collect tariffs on behalf of the EU for goods destined for member states. Mr Clark said the ministers had had “a much more professional, collegiate discussion” than reports suggested. And he said the partnership proposal had not been killed off, saying it offered the “very important” feature of avoiding paperwork at UK-EU borders. But he added that this model was “not perfect” because arrangements would be needed to refund firms if they were only liable for lower UK rates. He said this, and an alternative proposal of using technology and advanced checks to minimise border disruption, needed “further work”, and that whichever was chosen, “it will take some time to have them put in place and available”. The business secretary said it was “possible” this could take two or three years after the UK leaves the EU, suggesting that different elements of the plan could be implemented at different times. Former home secretary Amber Rudd – who resigned last Sunday over a deportations row – backed Mr Clark’s comments. Ms Rudd, a leading voice in the 2016 campaign to stay in the EU, tweeted that the business secretary was “quite right” to argue for a “Brexit that protects existing jobs and future investment”. A customs partnership – This would remove the need for new customs checks at the border. The UK would collect tariffs set by the EU customs union on goods coming into the UK on behalf of the EU. If those goods didn’t leave the UK and UK tariffs on them were lower, companies could then claim back the difference. Mrs May has been repeatedly urged by Brexiteers to abandon the partnership option, which critics say would keep the UK tied to EU rules. The Sunday Telegraph quoted a cabinet source saying it would be “unimaginable for the prime minister to press on with the hybrid model after it has been torn apart by members of her own Brexit committee”. Speaking on ITV’s Peston on Sunday, influential backbench MP Jacob Rees-Mogg – who has previously labelled the proposal “cretinous” – dismissed warnings about the impact on jobs if it is rejected. “This Project Fear has been so thoroughly discredited that you would have thought it would have come to an end by now,” he said. The customs debate is central to the question of border between Northern Ireland and the Republic, with supporters of a customs union saying anything else will mean checks and a “hard border”. But Arlene Foster, who leads the Democratic Unionist Party, said a “free flow” of trade did not require a customs union, adding that a border was already in place between the two different jurisdictions. However, some pro-EU Tories are still pushing for much closer economic ties to the EU. 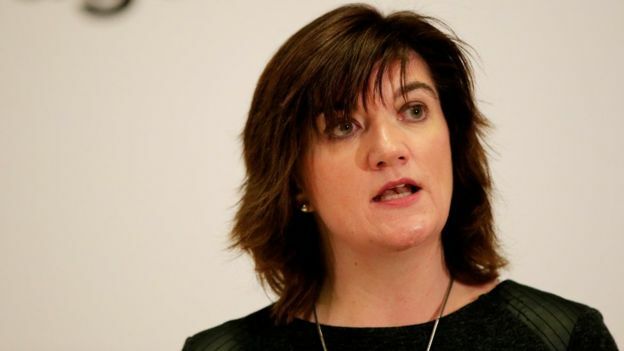 Asked about Mr Rees-Mogg and other Brexiteers, former education secretary Nicky Morgan told Pienaar’s Politics on BBC Radio 5 live people who “shout loudest” did not necessarily represent the majority of Conservatives. She said Tory rebels on her side of the debate would be prepared to defy the party whip in key votes “in the national interest” but that the MPs who were “sabre-rattling about leadership” were those who wanted “the hardest of hard Brexits”. And ex-business minister Anna Soubry told The Sunday Politics Mrs May had to “see off” those who operate a “party within a party” who do not represent “the country at large”. “These are ideologues,” she added. The CBI welcomed Mr Clark’s commitment to “frictionless” trade, saying the customs union should remain in place “unless and until an alternative is ready and workable”. Labour, meanwhile, faced criticism of its position on Brexit from pro-EU voices in the party. The leadership was accused of “complete cowardice” by Labour peer Lord Alli for not supporting a Lords amendment aimed at keeping the UK within the European Economic Area (EEA), like Norway, after Brexit. EEA members get access to the single market – with free movement of people, goods, service and money – without being EU members. But shadow international trade secretary Barry Gardiner said such an arrangement would reduce the UK to being a “rule taker” without a seat at the table when decisions on regulations are made. Labour says it would seek to draw up a new customs union with the EU after Brexit, and would try to persuade Brussels to change the rules and allow it to strike deals around the world. Shadow chancellor John McDonnell told the Marr show that despite the criticism, the party had not lost votes by not being “anti-Brexit” or “trying to reverse the referendum”. “What people want is a traditional British compromise,” he said.